Locally owned and operated since 1992, A–Z Transmission & Differential is a fully licensed transmission shop dedicated to providing quality automotive repair at affordable prices. We’re BBB-accredited and prepared to tackle even the most complex repairs, with highly-skilled automotive technicians using state-of-the-art equipment. Consistently delivering excellent transmission repair, we serve residents in Arlington and throughout the surrounding area. A-Z Transmission & Differential is a full-service transmission shop providing expert transmission repair and replacement. We also offer excellent transmission maintenance services to prevent future repair problems from occurring. We repair automatic and manual transmissions in both domestic and foreign vehicles of all types, including motorhomes and commercial trucks. And our qualifications and capabilities extend beyond transmission repair. 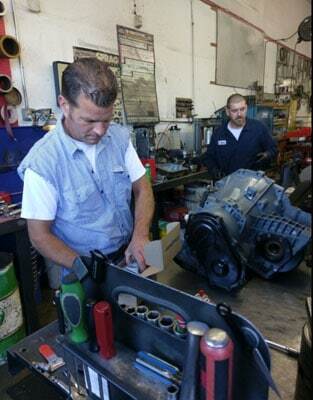 Our shop is also equipped to handle all types of differential and drivetrain repairs and service. When your vehicle’s differential components wear down over time or operate too long at high temperatures, you’ll need our help. At A–Z Transmission & Differential, we provide the top-notch drivetrain repair you need. With over 25 years of experience in the auto industry, A–Z Transmission & Differential’s knowledgeable professionals provide prompt, personalized attention, quality workmanship, and upfront pricing with free and honest estimates. Visit A–Z Transmission & Differential for all your transmission and drivetrain repair needs, or contact us to speak with a qualified transmission specialist today.